to local home, condo, townhouse, RV & manufactured home owners just like YOU! 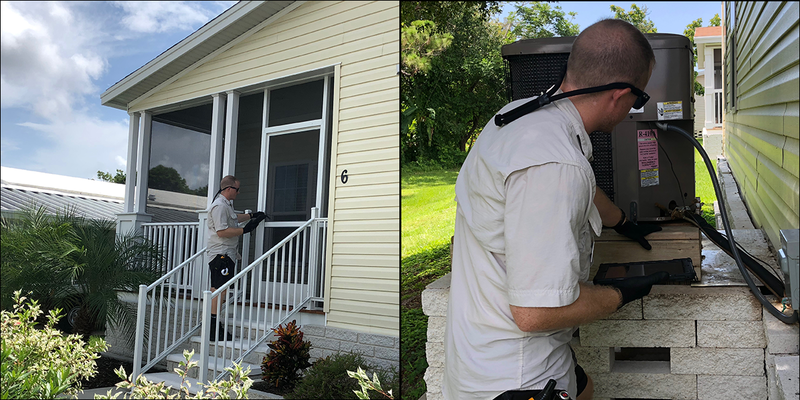 When everything is on the line here in Florida and you are thousands of miles away, go with the proven experienced professionals at Wright Home Watch Services, you will be glad you did!! Read for yourself the concerns we have discovered and acted upon for our clients just this week!! are taken care of while you're away. Whenever you leave your Florida home, either for the summer to go back north or just a short period of time, Wright Home Watch stands ready to ensure your home is cared for in your absence. 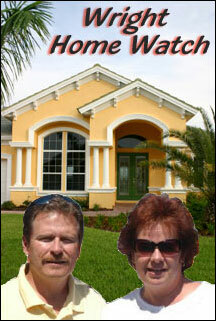 Wright Home Watch is a family owned and operated home watch service located in the heart of Southwest Florida. Our staff is friendly, reliable and professional with years of business experience in residential and building maintenance. Rest assured we can handle any situation that may arise with your home and property. If you have a scheduled service repair and a package arriving requiring someone be present at your home, we provide this service as well. At Wright Home Watch Services we treat your home with the pride and respect it deserves and you should expect. Our entire staff is non-smoking, clean and pass a rigourous background check prior to employment. Our home watch service schedules range from once a week to once every 4 weeks. After each service, we will provide a detailed report of our findings. Reports are filed electronically from your home BEFORE we leave you property. An email is automatically sent when the report is filed to notify you we have completed our service for that date. Clients of Wright Home Watch Services, LLC are provided a secure customer portal which provides access to ALL of the reports we have ever filed for the property, payments and debits to the account, the future scheduled service dates, any notes associated with the account, the many ways to contact us, our current insurance & bonding certificate and how payments may be made on the account. Since our system is entirely Internet based the client portal is available 24/7/365. Our home watch team members will provide "real time" reporting during each service call, including photos, checklist reporting and of course a telephone call if they should find anything that warrants immediate action be taken. As detailed as this may all sound our service is very affordable with plans starting from $17.50 before any client discounts! We also watch manufactured homes and condos while the owners are away. In fact over 40% of the properties we watch fall into one of these categories! There may be cheaper services but never one BETTER, we guarantee! When there is a problem or concern which would you rather have?